How can you and your kids compete in the job market against artificial intelligence? The following is an excerpt from Max Tegmark’s new book Life 3.0: Being Human in the Age of Artificial Intelligence. What does it mean to be human in the present day and age? For example, what is it that we really value about ourselves, that makes us different from other life forms and machines? What do other people value about us that makes some of them willing to offer us jobs? Whatever our answers are to these questions at any one time, it’s clear that the rise of technology must gradually change them. Take me, for instance. As a scientist, I take pride in setting my own goals, in using creativity and intuition to tackle a broad range of unsolved problems, and in using language to share what I discover. Centuries ago, I might instead, like many others, have built my identity around being a farmer or craftsman, but the growth of technology has since reduced such professions to a tiny fraction of the workforce. This means that it’s no longer possible for everyone to build their identity around farming and crafts. As technology keeps improving, how will the rise of AI impact the job market? Will it eclipse skills that we consider marketable today? How can we prepare our kids for this future? • Does it require interacting with people and using social intelligence? • Does it involve creativity and coming up with clever solutions? • Does it require working in an unpredictable environment? The more of these questions you can answer with a “yes”, the better your career choice is likely to be. This means that relatively safe bets include becoming a teacher, nurse, doctor, dentist, scientist, entrepreneur, programmer, engineer, lawyer, social worker, clergy member, artist, hairdresser or massage therapist. In contrast, jobs that involve highly repetitive or structured actions in a predictable setting aren’t likely to last long before getting automated away. Computers and industrial robots took over the simplest such jobs long ago, and improving technology is in the process of eliminating many more, from telemarketers to warehouse workers, cashiers, train operators, bakers and line cooks. Drivers of trucks, buses, taxis and Uber/Lyft cars are likely to follow soon. There are many more professions (including paralegals, credit analysts, loan officers, bookkeepers and tax accountants) that, although they aren’t on the endangered list for full extinction, are getting most of their tasks automated and therefore demand much fewer humans. But staying clear of automation isn’t the only career challenge. In this global digital age, aiming to become a professional writer, filmmaker, actor, athlete or fashion designer is risky for another reason: although people in these professions won’t get serious competition from machines anytime soon, they’ll get increasingly brutal competition from other humans around the globe, and very few will succeed. In many cases, it would be too myopic and crude to give career advice at the level of whole fields: there are many jobs that won’t get entirely eliminated, but which will see many of their tasks automated. For example, if you go into medicine, don’t be the radiologist who analyzes the medical images and gets replaced by IBM’s Watson, but the doctor who orders the radiology analysis, discusses the results with the patient and decides on the treatment plan. If you go into finance, don’t be the “quant” who applies algorithms to the data and gets replaced by software, but the fund manager who uses the quantitative analysis results to make strategic investment decisions. If you go into law, don’t be the paralegal who reviews thousands of documents for the discovery phase and gets automated away, but the attorney who counsels the client and presents the case in court. So far, we’ve explored what individuals can do to maximize their success on the job market in the age of AI. But what can governments do to help their workforces succeed? For example, what education system best prepares people for a job market where AI keeps improving rapidly? Is it still our current model with one or two decades of education followed by four decades of specialized work? Or is it better to switch to a system where people work for a few years, then go back to school for a year, then work for a few more years, and so on? Or should continuing education (perhaps provided online) be a standard part of any job? These are the types of questions we need to discuss and address as a society if we’re to be prepared for the future of artificial intelligence. Please join the conversation at ageofai.org. 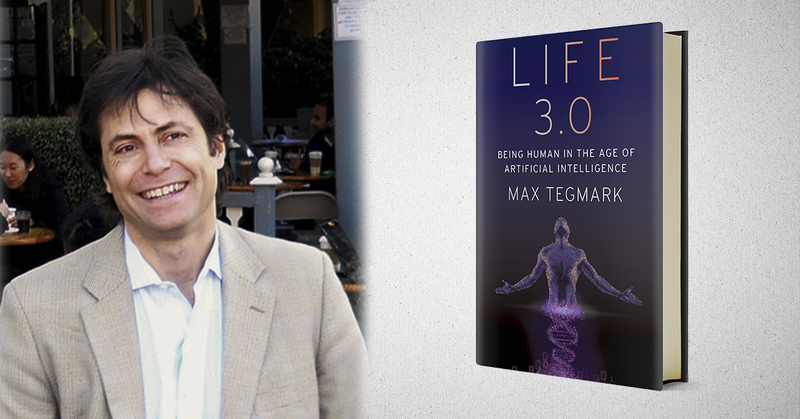 Max Tegmark is a physicist and AI researcher at MIT and president of the Future of Life Institute, which seeks to ensure artificial intelligence is created beneficially. His new book offers readers a glimpse into the possible futures that AI could create depending on the actions we take today.